Do you crave butter? We don’t blame you. 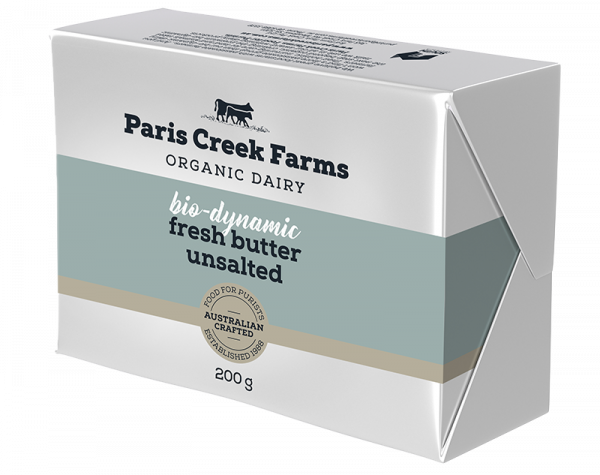 Our Bio-dynamic Unsalted butter is smooth and sensuous… simply a delightful experience. It’s made with the non-homogenised pure cream from certified bio-dynamic organic milk and created in the simplest way with all the goodness; free from genetic modification, salt, colours and flavours. How could you resist this? Just try it for yourself on a piece of baguette. Certified Bio-dynamic Organic Cream. CONTAINS MILK.